Calling all budding – or should we say buzz-ing – young naturalists! Join National Geographic Kids as we get the lowdown on one of our planet’s most fascinating insects in our ten facts about Honey bees! Queen: One queen runs the whole hive. Her job is to lay the eggs that will spawn the hive’s next generation of bees. The queen also produces chemicals that guide the behaviour of the other bees. Workers: these are all female and their roles are to forage for food (pollen and nectar from flowers), build and protect the hive, clean and circulate air by beating their wings. 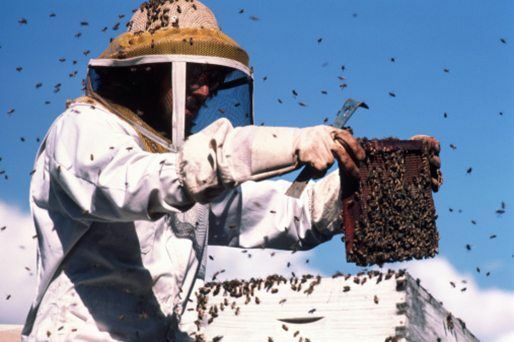 Workers are the only bees most people ever see flying around outside the hive. Drones: These are the male bees, and their purpose is to mate with the new queen. Several hundred live in each hive during the spring and summer. But come winter, when the hive goes into survival mode, the drones are kicked out! 3. What are these buzzing bugs most famous for? Delicious honey! But did you know they produce honey as food stores for the hive during winter? Luckily for us, these efficient little workers produce 2-3 time more honey than they need, so we get to enjoy the tasty treat, too! 4. 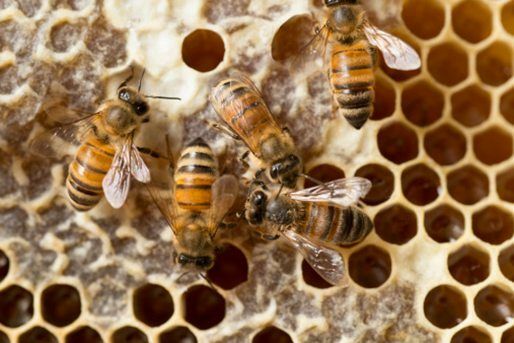 If the queen bee dies, workers will create a new queen by selecting a young larva (the newly hatched baby insects) and feeding it a special food called “royal jelly“. This enables the larva to develop into a fertile queen. 5. Honey bees are fab flyers. They fly at a speed of around 25km per hour and beat their wings 200 times per second! 6. Each bee has 170 odorant receptors, which means they have one serious sense of smell! They use this to communicate within the hive and to recognise different types of flowers when looking for food. 7. 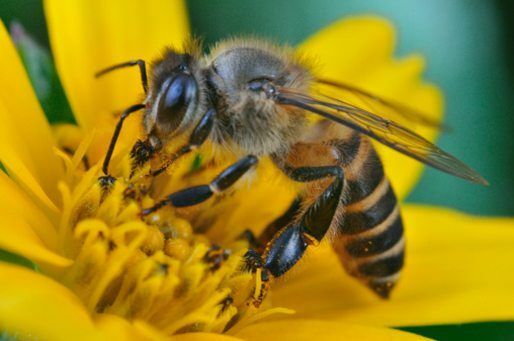 The average worker bee lives for just five to six weeks. During this time, she’ll produce around a twelfth of a teaspoon of honey. 8. The queen can live up to five years. She is busiest in the summer months, when she can lay up to 2,500 eggs a day! 9. Honey bees are also brilliant boogiers! To share information about the best food sources, they perform their ‘waggle dance’. When the worker returns to the hive, it moves in a figure-of-eight and waggles its body to indicate the direction of the food source. Cool, huh? 10. Sadly, over the past 15 years, colonies of bees have been disappearing, and the reason remains unknown. Referred to as ‘colony collapse disorder’, billions of Honey bees across the world are leaving their hives, never to return. In some regions, up to 90% of bees have disappeared! We can all do our bit to support these brilliant bugs, gang! Why not plant flowers rich in nectar, such as lavender and bluebells, which will help bees find the food they need? Also, be sure to choose local British honey, too, which will support our Honey bees and their beekeepers! Did you know that we have a FREE downloadable Buzz about Bees primary resource, all about these awesome insects? Great for teachers, homeschoolers and parents alike! 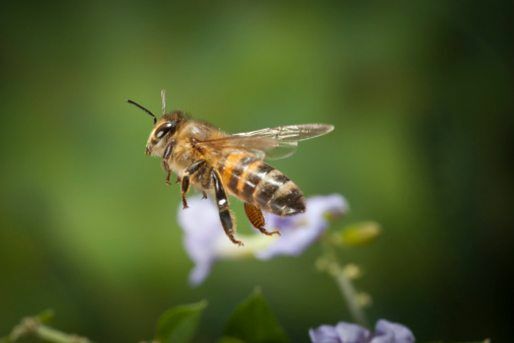 What did you think of our facts about Honey bees? Let us know by leaving us a comment, below! I have to do a report about bees so I am studying them and bees live in my house they fly around in my back yard. This website was exactly what I needed about these fascinating bees. Great honeybee explanation and great tool full of honeybee facts. "10. Sadly, over the past 15 years, colonies of bees have been disappearing, and the reason remains unknown". I think this must evolution happening, I wont have to eat my veges anymore. I am more evolved than a vegetarian. I think that this is a very helpful report for kids and adults. Hi I am Charlie I am 10 years old.i have learned a lot from this fun website and I recommend your website to my friends.thanks for your good work. i love bees so much! Parasites are killing our bees. Can you protect the bees in their hives? Bees are the coolest bugs on earth. They do so much for us and are really interesting creatures. Bees die after they sting something but the queen bee doesn't. She lives in the brood box and the other bees look after her. This is a good thing for people that are learning about bees like me. this website is the best thing ever!!! What is royal jelly for??? I like the way bees build their hives! Thank you so much your facts were very useful I learnt a lot and i believe we should take action and protect these bees for a better world. Once again thank you. Hello i really like bees! I hope you will download more facts about bees! I love honey bees . Good idea to write about honey bees. thank you for this information! it really helped. I love Nat Geo because it is really helpful. We love your site and awesome information !! awesome information, specially about the queen bee!! I loved how bees can flap there wings 200 times per second! My dads a beekeeper and from what I have read they are all correct! The Garden Clubs of MS sponsors a summer nature camp & this year, as part of the National Garden Clubs interest in protecting our pollinators, were studying bees and their importance to our survival. We have a beekeeper doing a program, a "FeedaBee" song video, fun facts to learn & bizzy games were playing with the campers! WERE ON IT!!!! Love the info here! Lets save the honey bees! Amazing bees and wonderfull information for us. Cool facts about all different types of bees and keep up the great work on here. :D this helped me with my assingmant 4 bees! Lets help these bees by planting flowers! I know I will! Amazing facts. Some Ill never forget. Its funny how animals sort of connect in a way that seems highly impossible! tell the bees i say HI ! My friends best friend is a carpenter bee. No kidding. Wow! These facts were really helpful for a project on bees I had to do for school! I also learned a lot! I had a honey bee paper to write and I got a lot of stuff off of this web sight. Cool facts! But note that for #4, ALL the bees are fed royal jelly. Butonly the (future) queen is fed it for more than 3 days. So cool!! Honey is bee vomit!!! You honey bees for honey just like you milk cows for milk!!! these facts are really good! OMG we need to support the bees! Yes we must help the honey bees!! Hey u know I actually like bees. did u guys like know that bee stings are good for u? Oh, so cool, but I hate getting stung! Neat!!! I am using this for a science project! Are teachers is making us do an essay and were not even helping them. I love this so much and the QUEEN BEE! I hope bees are being saved right now but we can do are best to help them. LOL i would like bees even more if i was not severally allergic to them and i could die by getting stung in about 30 min. number 10 is so sad! Wish that didnt happen! really like this website, use it loads on the geography homework and i would like really recommend it to anyone whose stuck on their homework!!!! SUPER! this is a very good website . we can get nice points about honeybees. thank you very much. this is cool! i never knew so much before! Tnx this was a lot of help with my homework! I can always rely on National Geographic! i want to know what tomato ketchup is made out of. I love bees, I made a website on them. What me and my friend like to do is help injured bees but so far weve only helped three. But, I think that bees are harmless and there is no chance of them stinging. They know that if they sting they die. EPIC!!! LOVE THESE LITTLE BEES SOOOOO MUCH, MY DAD CALLS ME A BEE BECAUSE THATS MY NAME!!! HOW COOL IS THAT!!!!! Thanks for the facts- we needed them for our libary assinment!! OMG!!!!! !This is great for a reaport. Way interesting!!!!! !That information really helped me with my homework?. jeepers! what a overload of facts, but I love it! Cool facts! My next door neighbour has bees, its amazing to think that honey comes from such a small thing! Thank you for your article. We thought it was awesome! We are sad that honey bees are disappearing. We will all help play a role in saving the honeybees by planting more flowers that have plentiful amounts of nectar. This really helped me with school! Thanks! Hey gg I play cod too like a boss! This a very interesting web site. It will do great for my project.